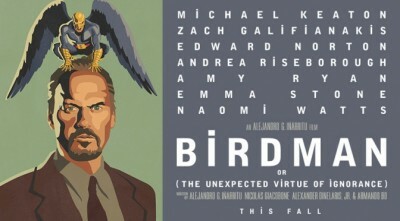 Birdman is the story of a washed up actor once known for his comic book role who tries to make a comeback. While real-life Michael Keaton is doing okay, I’d like to imagine that Birdman is the true story of where his life went after playing Batman in Tim Burton’s films. Keaton’s character looks slightly psychotic, hearing the gravely voice (a la Batman) of his character telling him to do things. Seriously, can this movie be real-life? If not, I guess I’ll settle for the movie’s release on October 17, 2014.